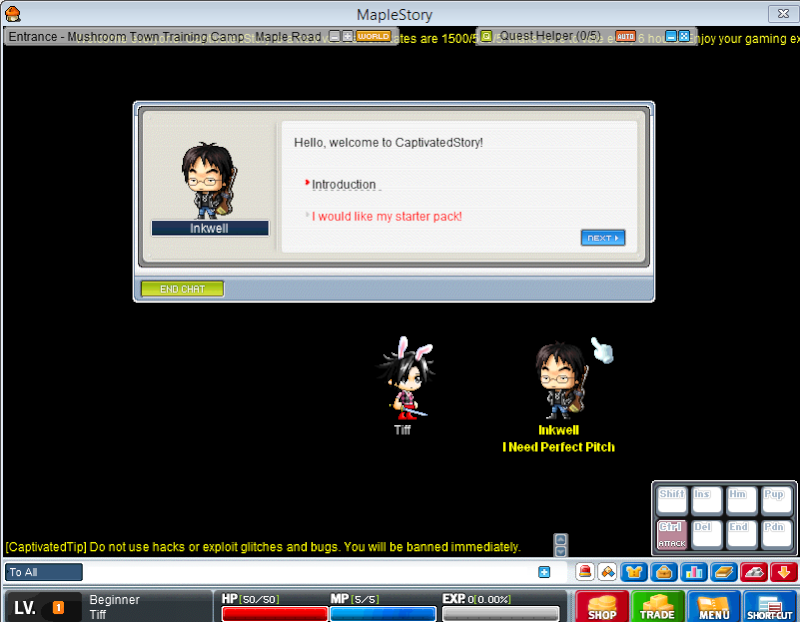 Welcome to Captivated! Here is the basic information you need to play our server assuming you have already made a forums account here. This guide is less on the process of getting into the game but more on what to do when inside. Obviously the goal is to make you want to discover the server, so enjoy! b) Before going in, VOTE!!!! Voting is EXTREMELY important in game! It will help you with currency and nx as well as MSI and more! Voting once give you 1VP (Vote Point) and 6.9k NX! Enter the game as you would enter normally. The pin code does not matter so just enter any numbers you want. Click on Inkwell to read the introduction and get the starter pack and go to the FM. Note that if you did not download the custom map, it will look different than the one in the images below. 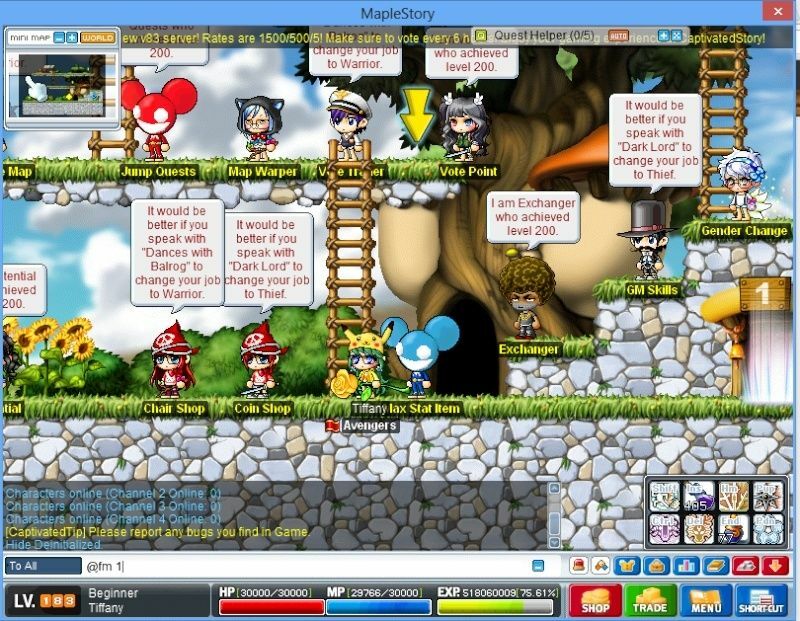 You will receive numerous items and an amount of mesos. A notification of your arrival will also be put throughout the server so many people might smega to welcome you. You can @smega <message> to smega as well. Most likely a GM will attend to you and help you too. From 0~15 rbs you can train at Newbie Island with @noob You can @autorebirth to save yourself the trouble of always having to do @rebirthe/etc every single time. No worries you can just type in the same command to stop the auto rebirthing. Afterwards you should be able to train yourself in FM 2-6 with custom spawners. Don't feel like training? Need to leave for awhile but want to make something worth of the time you are gone? How about going fishing while you afk? 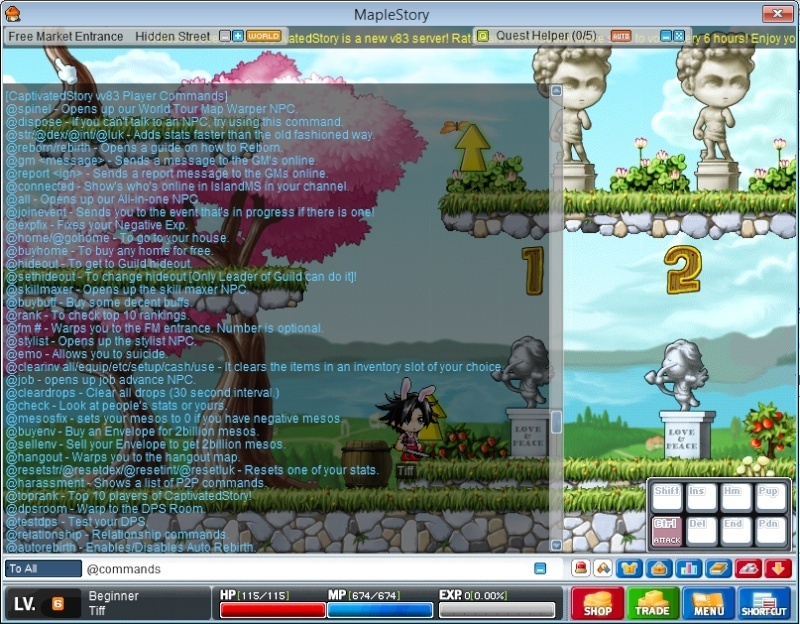 You can level up your fishing level and at the same time gain mesos and exp! You cannot @autoenv in this map unfortunately, but it's still fun. 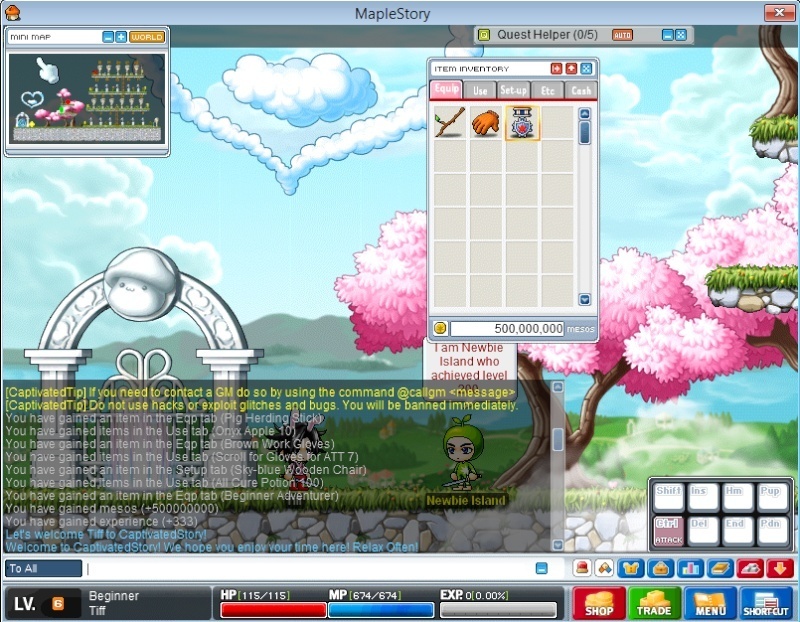 All you need is 1 money enveloppe (equivalent of 1500 maple coins or 2bil mesos that can be harvested by mobs, etc). 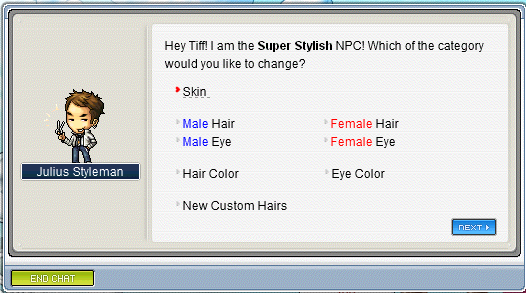 The fishing map can be accessible from Wisp, an npc in fm1. Socializing is also important in our community! Talk to people and join in the events hosted by our GMs! Remember, these are only the basics! There are many different aspects of Captivated to discover! Make a guild, buy a house, find your own secret guild hideout, complete jumpquests and much much more. Lastly, enjoy your time here and remember it's always more fun with friends so get your peers to join as well if you like the server.